Ave Maria University began as Thomas S. Monaghan’s dream to build an institution of Catholic higher education that would be faithful to the teachings of the Catholic Church. Through his initial financial donation of $250 million, in partnership with a generous donation of land from the Barron Collier Family in Southwest Florida, the campus started to come to fruition. Situated on a 908-acre campus in Ave Maria, Florida, the Ave Maria University campus has 500,000 square feet of facilities, serving nearly 1300 students and 200 faculty and staff. As a relatively new university, the campus development has been conceived with state-of-the-art design elements and integration of technological systems. This integration has led to positive results in operational efficiencies and cost savings. From IT to facility operations, the infrastructure encompasses nearly 23 systems that are converged and made interoperable on a single IP network including: Building Automation, Security and Energy Conservation. Challenge: Improve Efficiency of Building Automation System and Reduce Energy Costs. The existing Building Automation System (BAS) consists of LON devices communicating over Ethernet to a proprietary master controller. This system design minimized first cost and the quantity of building automation panels, but inadvertently created network bandwidth issues and a single point of failure. After project completion, University staff began to notice increasing energy costs, unpredictable control and inconsistent equipment runtime. After detailed investigation by Ave Maria and ESSI, it was determined that the system was losing key data packets between systems. This loss caused occupancy schedules not to be maintained and temperature setpoint changes to be dropped, which in turn increased operational costs. • Streamline automation network bottlenecks for improved performance. • Improve facility comfort and equipment scheduling. • Reduce overall energy costs and environmental footprint. 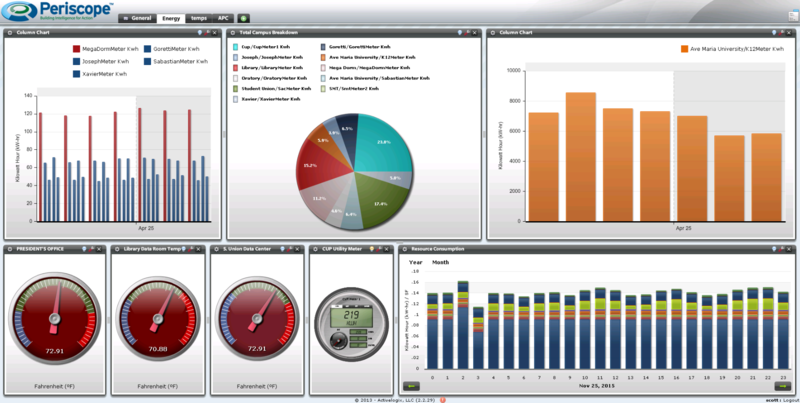 • Deploy visualization tools to empower staff with real-time metrics. • Enable “energy conservation” kiosk to educate students and staff. The University’s immediate need was to identify communication problems within the converged network. Working with University staff, ESSI used network communication tools to determine whether automation system commands were being issued and received appropriately. ESSI’s experienced staff were able to pinpoint the cause of failure and proceeded to design a plan to accommodate the required network bandwidth. The recommended solution included the need to distribute bandwidth and mitigate risk by deploying multiple Vykon™ JACE network controllers. After quickly installing the new controllers, the staff noticed immediate improvements in control and a reduction in energy usage. While in design, the University expressed the ongoing need for an analytical tool to monitor energy and track resources. The tool needed to be intuitive for use by various University department staff and should include analytical views to identify additional savings opportunity. ESSI recommended the Periscope™ Dashboard solution from Activelogix, LLC. Periscope™ Dashboard was quickly deployed and University staff were trained to use the tool to build individual visualizations of energy, comfort and resource usage. “With Periscope, we are able to monitor our overall energy and resource consumption better than we thought possible”. With support from ESSI and Activelogix staff, Ave Marie University was able to troubleshoot a complex problem and determine the appropriate course of action. “In the end, we saved several hundred thousand dollars; a substantial amount of money and a payback of approximately 7 months”. But just as important to Ave Maria is setting an example by reducing our carbon footprint and wasteful consumption. 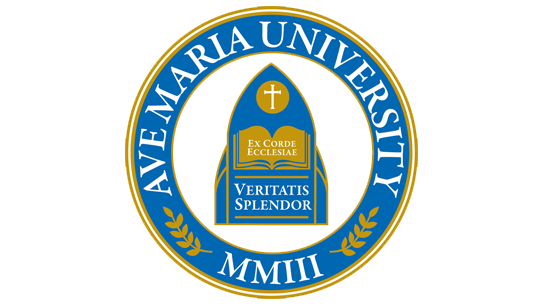 Ave Maria is known for its exceptional academics, faithfulness to the magisterium of the Catholic Church, dedicated faculty and caring staff, and a unique educational philosophy that strives to develop the whole person. The university’s superb faculty, challenging curriculum, professional staff, and a student community where it is easy to form lasting friendships, provide graduates with a training that empowers them to step out into the working world as future leaders and wealth-creators, with a solid understanding of contemporary challenges, and a strong confidence in their own intellectual training and foundation. ESSI designs, implements and maintains sustainable and energy smart buildings for its customers in South Florida. ESSI staff includes skilled individuals whose collaborative experience supports facility service teams to ensure systems operate efficiently 24 hours a day, 7 days a week. Grounded with strengths in HVAC fundamentals and skills in software/hardware, ESSI provides services that are specifically tailored to individual building and operators’ needs in comfort, energy and security.